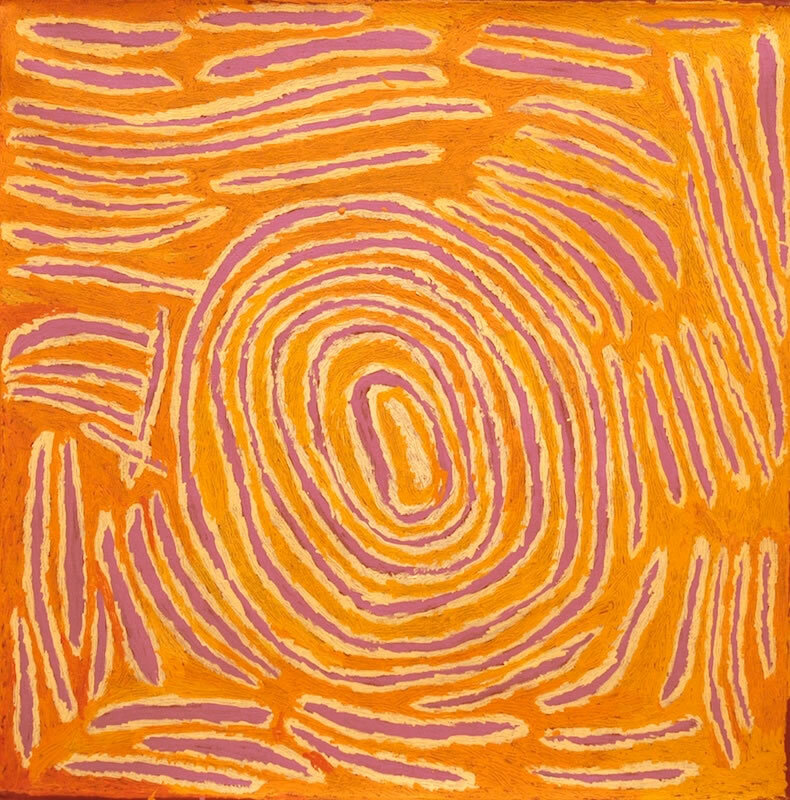 Tjunkiya Napaltjarri's striking paintings reveal forms as colour is scratched away from the surface, a method unique amongst Papunya Tula Artists, and shared only by Johnny Yungut Tjupurrula. 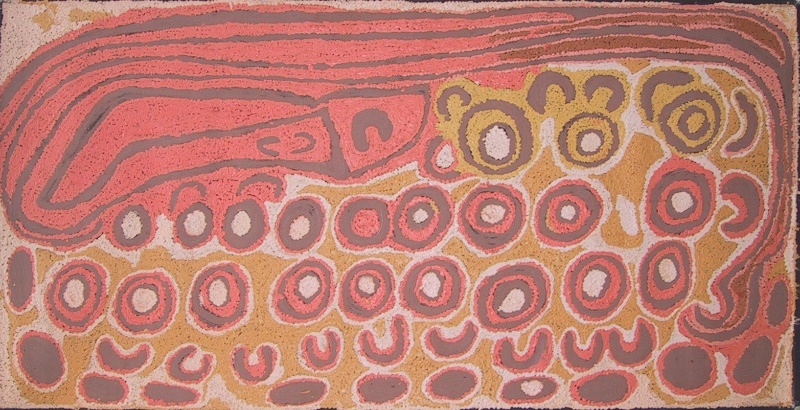 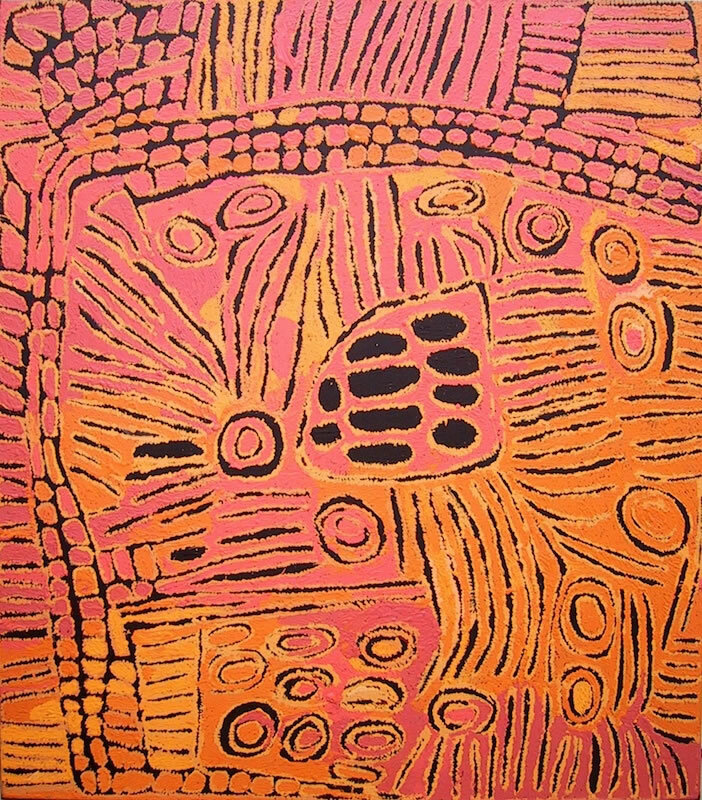 Tjunkiya began painting for Papunya Tula Artists in the late 1990s. 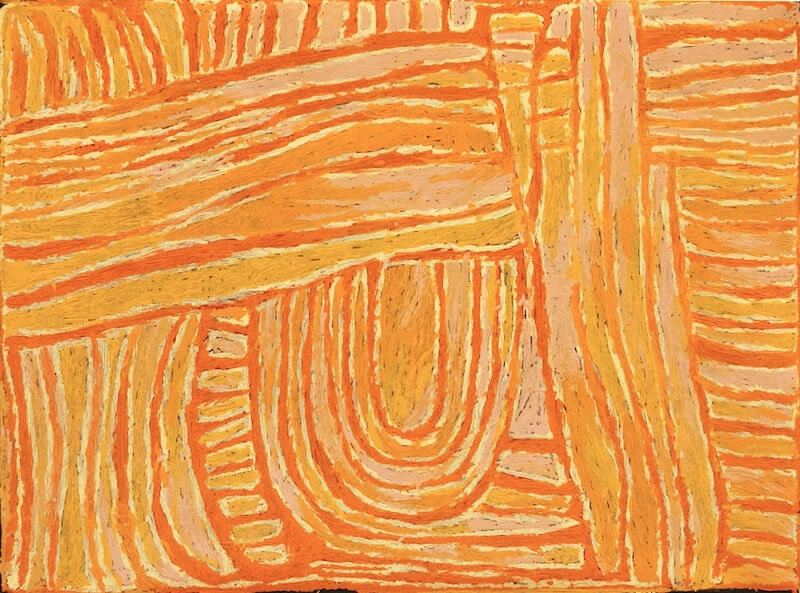 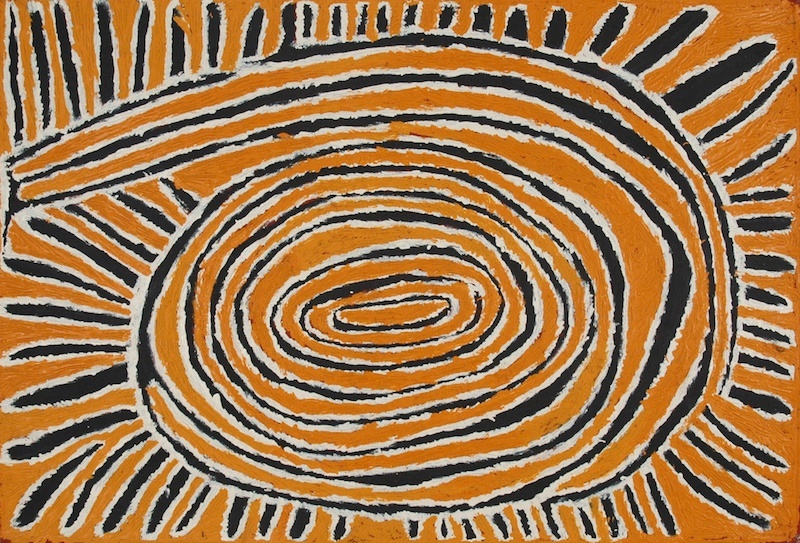 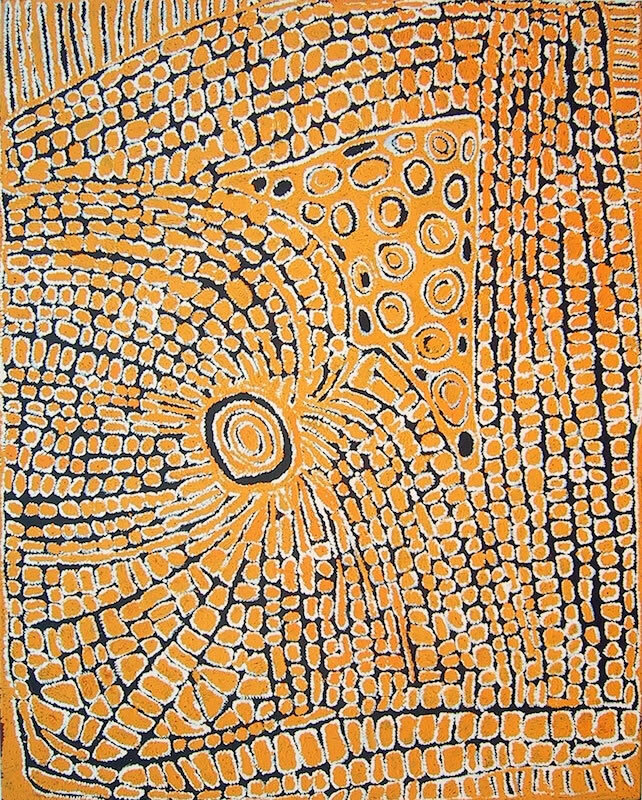 Until 2004, Tjunkiya painted with her sister Wintjiya Napaltjarri at the Papunya Tula Artists shed in Kintore but from 2004 until her death in 2009, she painted from her home: the widow's camp outside her "son" Turkey Tolson Tjupurrula's former residence. 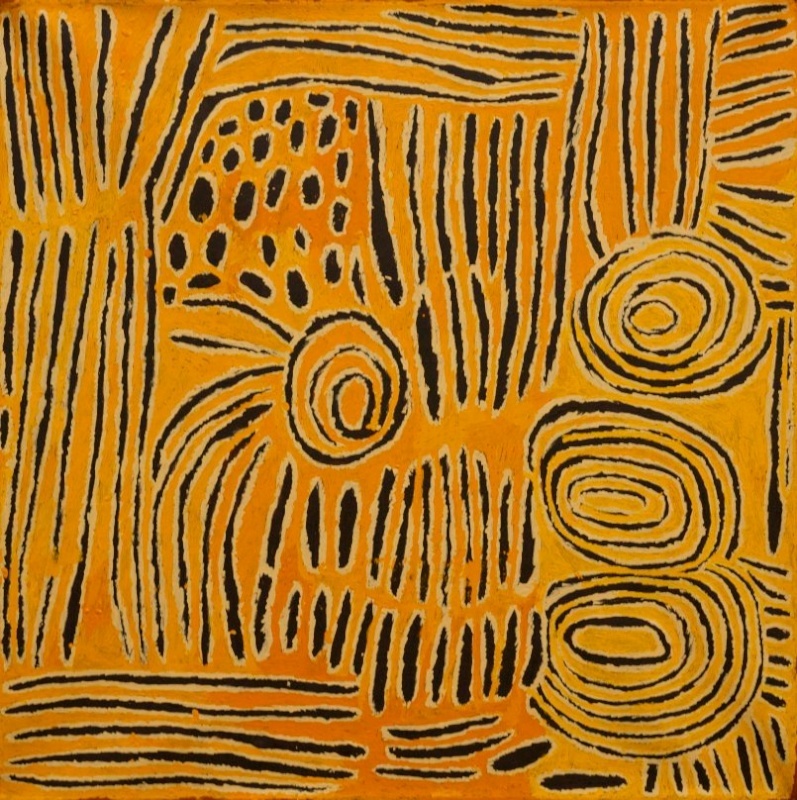 There have been a number of solo exhibitions of Tjunkiya's paintings and her work can be found in national and international collections including the Art Gallery of New South Wales, the National Gallery of Australia and the Musee du Quai Branly in Paris.